The Czech company showed new pictures of the Vision RS concept car. At the same time, the company told about the installation in the car and the fact that this is a harbinger of the new generation hatchback Rapid. 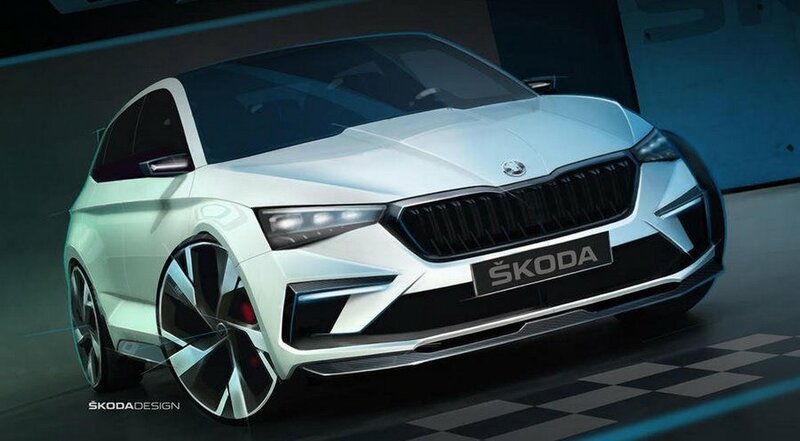 The concept of the 5-door Skoda Vision RS is powered by a petrol turbo V4 TSI 1.5 liter for 150 "horses", an electric motor for 102 hp. and a lithium-ion battery at 13 kW/h. The hatch develops in total 245 hp. Rapid is recharged from a simple outlet for 2.5 hours. Electric traction allows the hatch to drive about 70 km. Most likely, hybrid Vision RS take the first "hundred" for 7.1 seconds, and the maximum acceleration reached 209 km/h. Publicly this concept will be declassified in Paris on October 2. Representatives of Skoda say that the concept shows the design development of the "hot" RS-models of the company, at the same time being a new compact car.